We provide Audio Visual installation services to both the commercial and residential sectors established since 2001 we have always kept at the forefront of emerging AV trends whether it’s a simple TV installation , Home cinema setup or a large Audio Visual commercial project . We can provide the expertise to deliver. Services we provide include TV wall mounting installation. Home Cinema installation. Custom Audio Visual install. Projector supply & installation service. Whiteboard installation. Home Network installation. Commercial music sound system installs. Sonos Multiroom audio setup and installation. 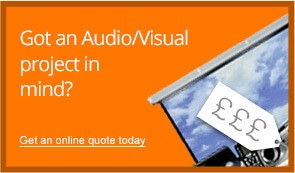 Audio Visual project design services. Our clients include Residential, offices, Business Builders, architects, School & colleges, Bars , Restaurants, Clubs, local authority’s , Hospitals, Interior designers. We can design and implement your Audio Visual installation to the highest standards and give you instructions on how to operate your newly installed systems to there full potential. We are able to supply everything you need to integrate your equipment, including: leads, cables, brackets and fixings. Plus all our work is fully insured and guaranteed for two years with screen fixing guaranteed for Ten years. Above all, we focus on getting it right, first time, every time. Master AV Services was established 2001 providing residential and commercial Audio Visual installation services, our fast friendly service covers the wide range of audio visual products that enhance our modern lives, Internet ready 3D smart Flat screen TVs , Home cinema & Home Theater sound systems, projection installations Multi room audio distribution, aerial distribution, universal remote programing, network wired and wireless solutions, digital signage and commercial install sound systems. As an independent specialist installation company, we are able to offer a totally unbiased view, on the latest products. Our installation teams are employed directly by Master AV Services unlike a lot of our competitors’ who subcontract there work out. Our vans are packed range of brackets cables, and AV accessories. ensuring we are able to complete the planed job or cope with unplanned additions. Fixings all AV equipment , TVs , speakers AV shelves, projector , projector screens etc, are covered by our Ten year guarantee, any parts supplied by Master AV Services are covered by a two year guarantee , all work is fully insured. 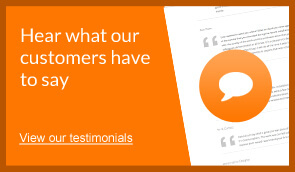 We cover London & Southeast, Birmingham, Midlands, Manchester & northwest England. So if its just a simple TV wall installation for home or business a bespoke Audio visual installation or a dedicated home cinema room with concealed wiring you require call us today for friendly chat to discuss your requirements.